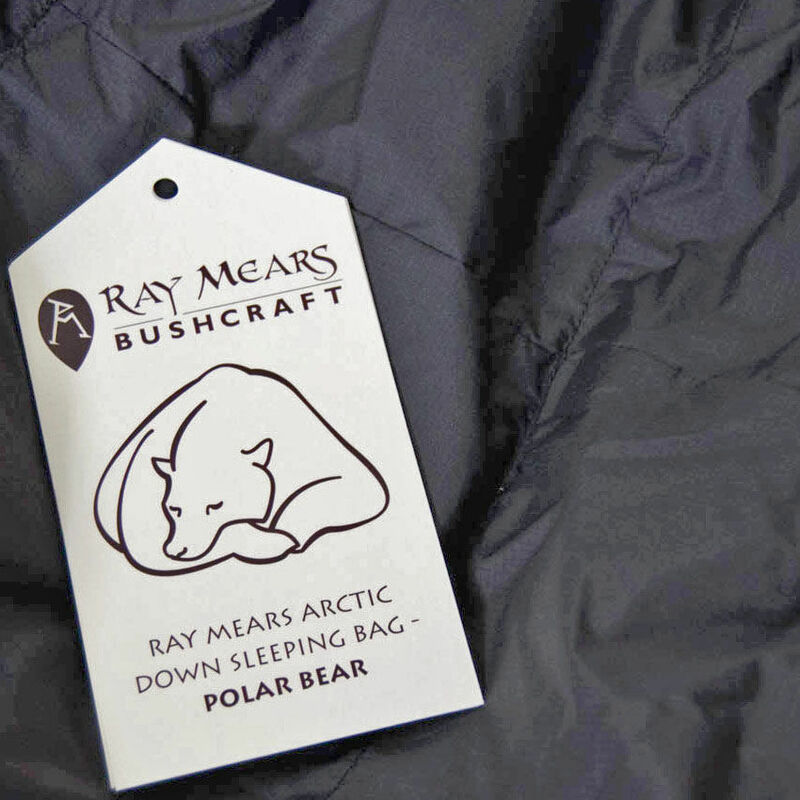 The Ray Mears Arctic Down Sleeping Bag - Polar Bear is a luxurious sleeping bag, designed exclusively by Ray Mears for Woodlore. The Bear Range of down sleeping bags have been in development over a number of years, having been tested by Ray and the Woodlore Team all over the world to ensure a supreme product for our customers. The Polar Bear is predominantly designed to be used during late autumn through to early spring within the UK. However, it is also suitable for use in colder regions, proving itself in laboratory tests to provide safe insulation at temperatures as low as -50°C. The outer fabric also benefits from 10,000mm of water resistance and 10,000g/m2/24h of breathability. The Polar Bear is manufactured using the highest quality materials, including ethically collected goose down, giving a fill power of 880 cuin. With the impressive capability to compress in to a dry bag of just 33 litres and with a weight of 1.890kg this bag is ideal for expedition travelling. Due to the nature of the down filling inside these sleeping bags you need to ensure that the sleeping bag is not left compressed for extended periods of time as it will decrease the fill power over time. 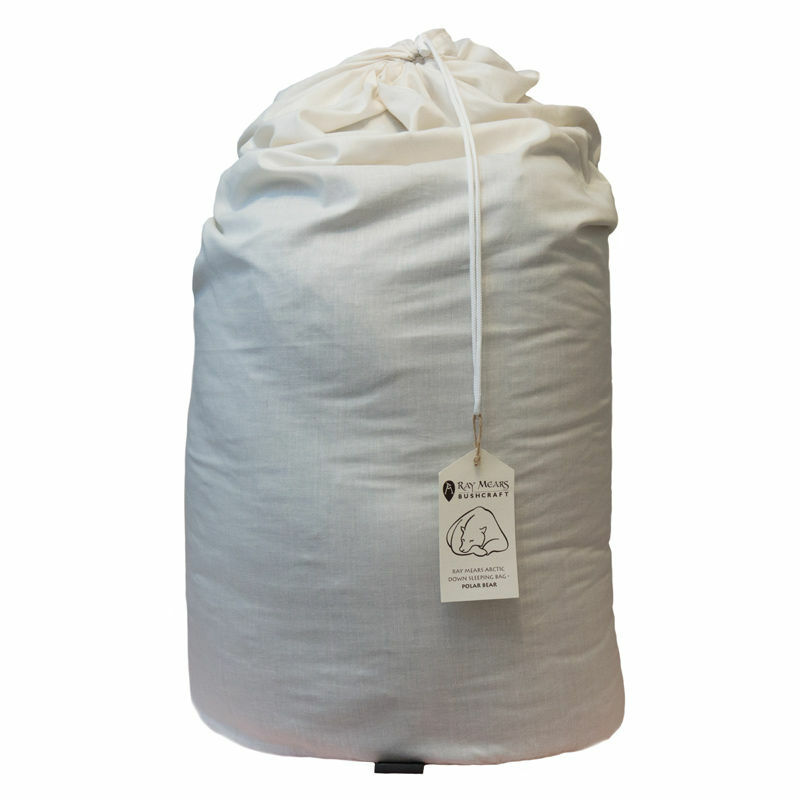 As such each bag is supplied with its own large storage bag and a drysack for use when out on trips. 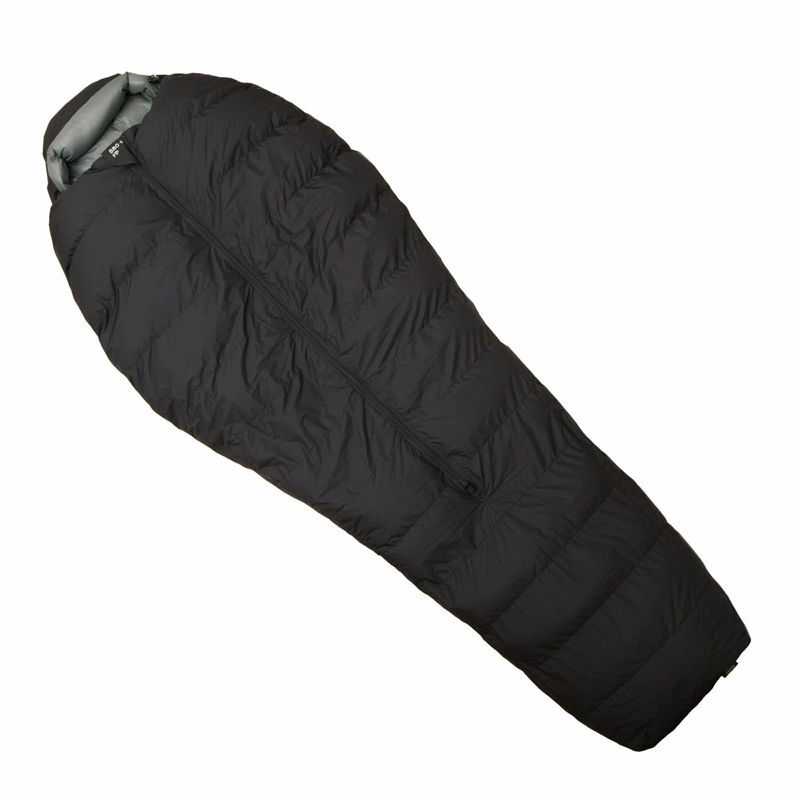 The Polar Bear is made in a tapered 'mummy' shape, keeping unused dead space to a minimum, while avoiding the restrictive feeling so often associated with this style of sleeping bag. At the head is a roomy, full-size hood with internal drawstrings, allowing you to create as snug a fit as you desire. A baffle with a drawstring runs horizontally across the inside of the hood with hidden Velcro fastening tabs, providing extra support and insulation around your neck. A second internal baffle runs down the full-length of the central-zip, ensuring that your body does not come into direct contact with the zip while also keeping out any draughts. An additional feature is the inclusion of two inner pockets, placed either side of the central zip on the chest area. These Velcro fastened pockets are ideal for keeping your valuables hidden and protected. Packed size in storage bag: 95 x 45 x 50 cm approx. 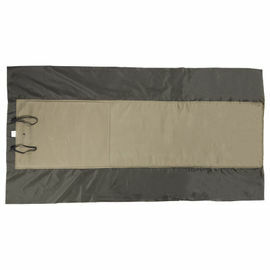 Compressed size in dry bag: 48 x 30 x 30 cm approx. 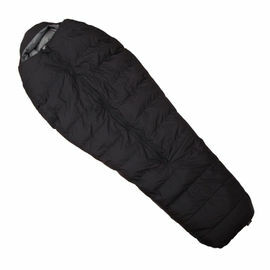 Ray Mears Arctic Down Sleeping Bag - Polar Bear is rated 5/5 based on 2 customer reviews. In the snow, we just had over the past week, was a perfect opportunity to try out my new bag, bivvi and mat. The system performed well and I slept with it 2/3 done up as it wasn't cold enough to snuggle right in. I have been looking for a 'mummy' style dos bag since leaving the army. So when I found this I had to upgrade my existing (perfectly good - going on ebay good) bag. I feel that the price is a bit high but then saying that I still bought two!! 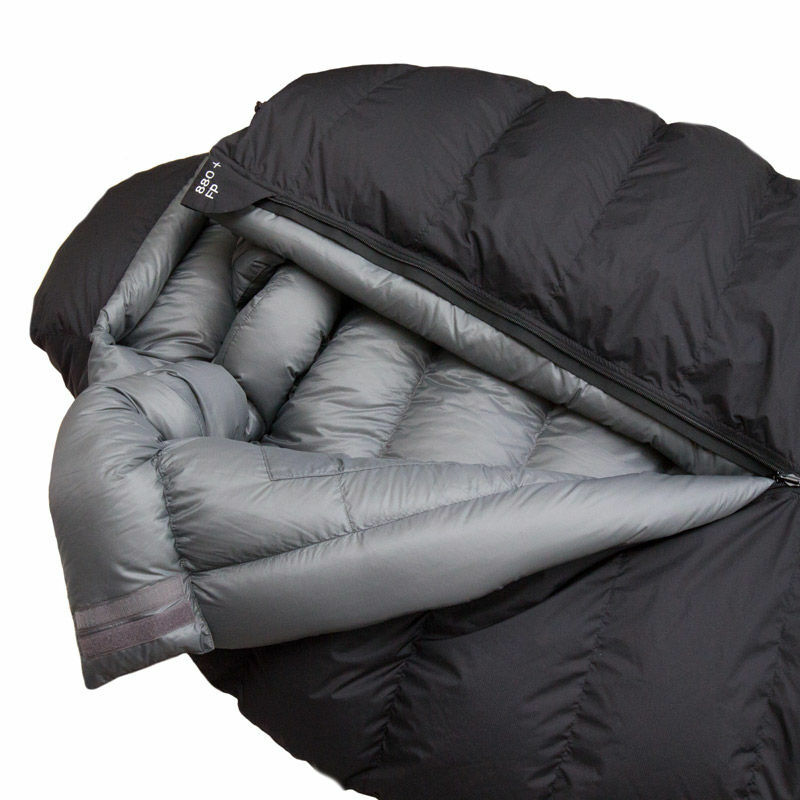 The Polar Bear Sleeping Bag is an incredible product. I slept in this in October in a cave in the Lake District, UK, and it was so warm I had to leave the zip open to allow air in. It is incredibly comfortable and the inner pockets proved useful for storing my headlamp so that I could easily find my way out in the night if I needed to get up for anything. I can highly recommend this to anyone that is planning on exploring nature from autumn through winter. 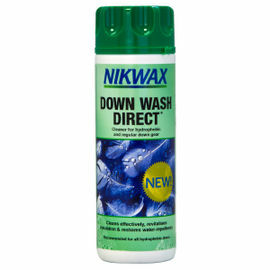 The only downside is how hard it is to get into the provided dry bag, even when compressed. I was worried that the amount of force I was applying would damage the sleeping bag. Alas the manufacture quality stood up to the challenge and eventually I got the sleeping bag into the dry bag. I will be swapping the dry bag for a slightly larger one so that I can more easily pack it when out in the field. The storage bag provided for the uncompressed storage is a thing of beauty and really completes the product. 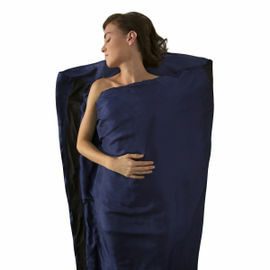 Amazing sleeping bag, I would definitely recommend this!